The American Academy of Arts and Sciences (AAAS) has invited the chair of the department of Cell Biology at the UT Southwestern Medical Center to join its list of members. Sandra L. Schmid is an internationally distinguished investigator who works mainly on cellular nutrient internalization, a process called endocytosis. The Academy has recognized leading thinkers and doers since 1780 when it was first founded. Schmid is will join a series of AAAS members, which include over 250 Nobel Laureates and over 60 Pulitzer Prize winners. The new class of members elected in 2015 will be inducted at an official ceremony on October 10 in Cambridge, Massachusetts. The investigator holds the Cecil H. Green Distinguished Chair of Molecular and Cellular Biology at UT Southwestern and has already been inducted as a member of the Harold C. Simmons Comprehensive Cancer Center. In addition, she is also the former president of the American Society for Cell Biology and is among the only six foreign researchers that were invited to join the members of the European Molecular Biology Organization, in 2014. 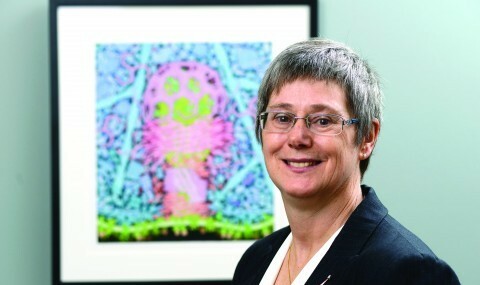 Holding an undergraduate degree in cell biology from the University of British Columbia, a master’s degree in executive leadership from the University of San Diego School of Business Administration and a doctorate in biochemistry from Stanford University, the Canadian researcher started working at the UT Southwestern in 2012. Prior to that, Schmid worked for 12 years as chair of cell biology at the Scripps Research Institute in California, and completed a fellowship in cell biology at Yale University.